Arrow Bail Bonds is a family run agency that believes in the values of true customer service. As a bail agency we know how important it is to consider the feelings of our clients. We know that you probably didn't wake up today thinking that you'd have to call a bail bond agent. In our more than 40 years of business we have never let go of our dedication to provide superior service that makes each and every one of our clients feel comfortable and welcomed. 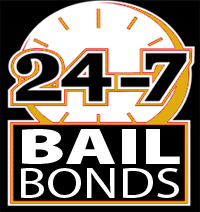 If the time comes when you need to post bail in Southern California give our team a call for the highest level of service available for bail bonds. The fact that you are calling up a bail agent probably isn't something you want the world, or anyone for that matter, to know. We promise to act discreetly and to never disclose any personal information to anyone that has no reason to know. You can trust us to act fast and discreetly. All clients have a right to expect no surprises such as hidden fees, delays or gimmicks. All clients have a right to have the bail bond process fully explained to them. All clients have the right to understand their bail bond indemnitor responsibility. All clients are entitled to receive copies of all documents relating to their bail bond. All clients are entitled to be treated respectfully by a licensed bondsmen who presents themselves courteously and professionally at all times. Since 1974 we've been working hard to secure freedom for people who need jail release in Rancho Cucamonga, Southern California and throughout the nation. Call Arrow Bail Bonds today at (909) 891-0578 to speak with a professional agent today about posting bail in Southern California for your loved one; we'll be happy to make a house call!